Zalaris’ offshore center in India recently celebrated two years of successful operations. 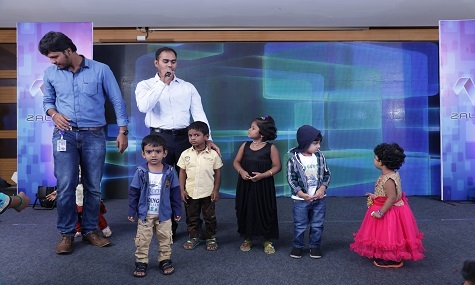 To honor this milestone and rejoice the journey so far, the management team and employees at the Chennai office put together a memorable “Family Day” function. The gathering was attended by family members of all employees. The event displayed individual talents of employees as they danced and sang to give a taste of Indian culture. We were delighted to have Jörg John and Harald Goetsch to join us and brighten up the evening. Employees and managers were rewarded for their outstanding performances, and the best team for 2016-17 was awarded to Internal F & A (Finance and Accounting). Zalaris India has had a tremendous year and has grown rapidly. Teams have been expanding and there has never been a shortfall in talent. We hope this drive continues and more such anniversaries are celebrated.